As a church family we’re committed to financially and prayerfully supporting several mission partners who undertake important gospel work at home and abroad. ACORNCAMPS exist to share the gospel with Hungarian teenagers through English language Christian camps in partnership with Hungarian churches. Helping young people find out more about Jesus is at the heart of each camp and they’re passionate about training up youth leaders to teach the bible in an effective, relevant and persuasive way. You can find out more on their website or by speaking to Lydia Proudman. Barnabas Fund work to provide hope and aid to Christians across the world who are persecuted because of their faith in Jesus. Their work includes providing financial support, encouraging prayer, raising awareness and contesting injustice. You can find out more on their website or by speaking to Mike Whitehead. In some parts of the world, the Bible is difficult to access, unavailable or simply unrecognised. The Bible Society are working hard in the UK and across the world to change this. They take the Bible and find ways to translate and distribute it, create digital formats, advocate for its place in society and help people relate to and make sense of it in their everyday lives. They’re driven by the conviction that when people engage with the Bible, lives can change – for good. You can find out more on their website or by speaking to Simon Bradshaw. 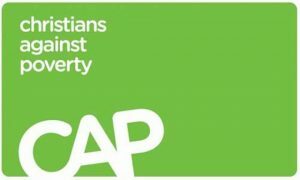 CAP are on a mission to release thousands of families from grinding poverty through award winning debt counselling and community groups. By equipping and empowering local churches to reach out on their doorsteps, we’re bringing hope to over 21,500 families every year. You can find out more on their website or by speaking to David Sanderson. People International exist to share the good news of Jesus with Muslims living in Central Asia by establishing and enabling local churches there. You can find out more on their website or by speaking to Sue Lamprell. 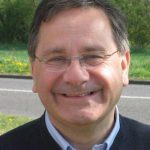 Roger was born in Yorkshire and became a Christian as a teenager, while visiting relatives in the Lebanon. Since then, he’s most of the last thirty years travelling the length and breadth of the UK and other countries sharing the Christian message. You can find out more on his website or by speaking to Colin Proudman. UCCF work in universities and colleges all over the UK to make disciples of Jesus Christ in the student world. You can find out more on their website or by speaking to Simon Langmead.